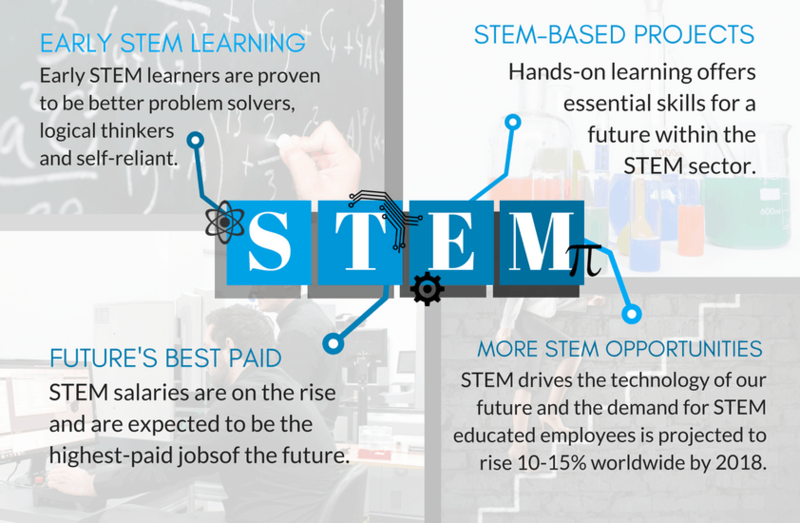 STEM is a term that represents the academic disciplines of science, technology, engineering and mathematics. It specifically refers to educational programmes within academic institutions that encourage young students to explore these subjects, allowing them to gain skills vital to the modern world where new technologies and innovations are ever-evolving. Although the concept was devised in the United States, the UK has quickly adopted the same approach toward education in STEM subjects. Organisations like STEMNET and STEM Learning, who support and promote STEM education across the UK, help to provide students with the tools they need in order to develop their knowledge, skills and understanding of new technology. This is done by integrating all of the subjects to create a cohesive learning experience with real-world applications that promote problem solving at an early stage. One of the ways in which schools, colleges and universities achieve this way of integrated STEM learning is through the use of 3D printing. Some of the most popular academic institutions across the UK have implemented 3D printing to allow students to not only design outside of the box but also to practice and develop science, technology, engineering and mathematics skills whilst producing their concept before 3D printing even begins. Prior to the printing process students are able to design the model using CAD software, thus developing skills that are essential in engineering whilst allowing the student to utilise his or her mathematics and science knowledge during the developmental design stage. This enables students to express their creativity without limits. From a teaching point of view this process promotes reasoning, thinking and an understanding of the subject through a powerful teaching tool that not only enriches the curriculum but also stimulates pupil interest. By introducing 3D printing technology into the academic environment, students are not only able to understand cutting-edge technologies but it also gives them an opportunity to harness the skills that are needed for a future career in the science, technology, engineering and mathematics employment sectors. In 2013 the UK Government pledged to invest in STEM education realising the importance of supporting and enabling younger generations in understanding modern technological advancements, helping them to prepare for a world in which similar and new technologies are increasingly common, thus equipping pupils in understanding 3D printing capabilities and how it is used in real-world applications. 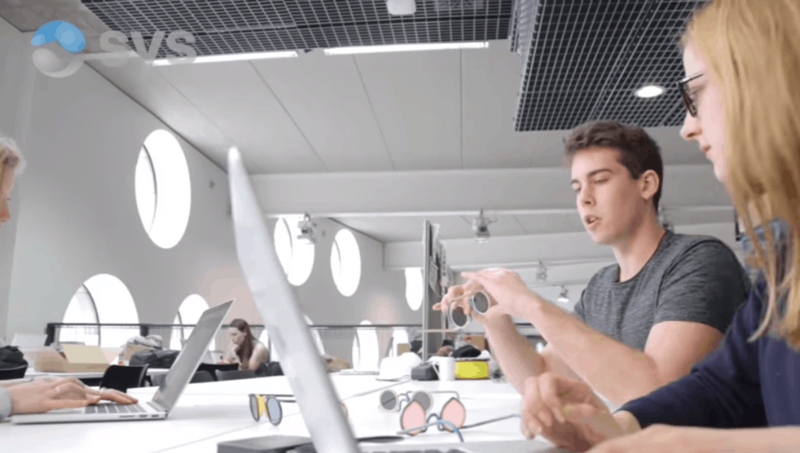 SYS Systems, UK representative of Stratasys, have supplied a number of educational institutions with 3D printing technology for this very purpose. From Product Design students at Ravensbourne College, central London, using the Stratasys Objet 260 Connex 3D printing system to Warwick Schools Design and Technology students making use of the Stratasys Objet30 desktop printer to develop their skills before university. At SYS Systems we know how many industries and companies across the UK and Ireland require 3D printing systems to manufacture and rapid prototype, so we also know how important it is that the students of today are thoroughly educated in this technology to succeed in a technologically competitive world. SYS Systems supplies a vast variety of Stratasys 3D printing machines to suit all industry requirements and we feel that access to this technology should be available to all students to secure the future of STEM disciplines ensuring that these industries are fraught with professional, well-educated individuals. Stratasys recently launched their education programme in the United States where they will develop seven official High School modules which enables students to acquire the knowledge, skills and experience required to become successful in todays tech-driven career range. 3D Printing is imperative in a technology-driven environment in order to bring innovation to the table and show students that they are able to take their designs and produce a physical representation of their concepts allowing them to explore their inner creativity through the design and development process. Stratasys 3D printing systems challenges 3D printing technology’s boundaries with unrivalled material capabilities, producing intricate detail, durability and impeccable precision. 3D printing not only benefits the pupils but it also empowers the entire institution by offering the students an innovative learning platform alongside technology that is invaluable for the students education and future career.